PSP Go! open-heart! Unveiled preview the motherboard of the PSP Go! Until now, the PSP Go! could be admired only during the E3 and some photos and video available on the Web Some however, have available to preview the new Sony came home, he thought good to open and reveal to the world the secrets hidden under his chassis. 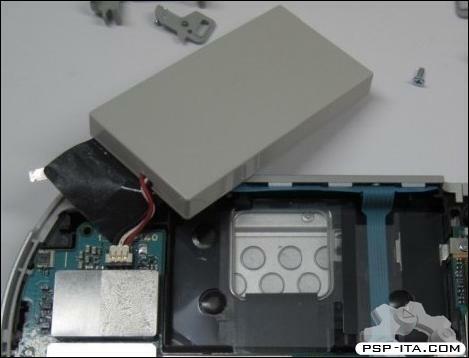 Well, the new console mount a motherboard TA-091, an obvious evolution of the existing TA-090v2 present on PSP-3000. From the technical information you attached shows that the PSP Go! is equipped with the 5.70 firmware (and not 6:00 as rumors). Perhaps the firmware will be 6:00 when the serial console will be officially available. As always we will keep you updated when new. As you probably all know by now, kgsws released an exploit for Medal of Honor Heroes a few days ago. The exploit, despite being cool, was practically useless as it required 2 PSPs, a Wifi router, and to be connected through EAs servers which would have been patched afterwards. Davees kernel exploit requires some modules that werent loaded by the Gripshift game. This is why chickHEN works with the libtiff XMB bug, but was never ported to the Gripshift exploit. Will it be the case for Medal of Honor as well? Im guessing people are already investigating that.